This stunning Chinese art book presents almost a hundred recently unearthed objects that offer a glimpse into the extraordinary wealth and artistic accomplishments of elite society during the Western Han Dynasty (206 BCEu9 CE). These exquisite treasures are from newly discovered sites in the Jiangsu region of China and are made of gold, silver, jade, bronze, pottery, lacquer, and other refined materials. Masterworks include a full-length jade suit sewn with gold threads, an oversized coffin shrouded in jade, and a complete set of functional bronze bells. 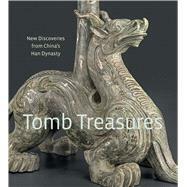 The bookAEs texts explore a number of ideas about life and death of Western Han royalty. The Asian Art MuseumuChong-Moon Lee Center for Asian Art and Culture is a public institution whose mission is to lead a diverse global audience in discovering the unique material, aesthetic, and intellectual achievements of Asian art and culture.